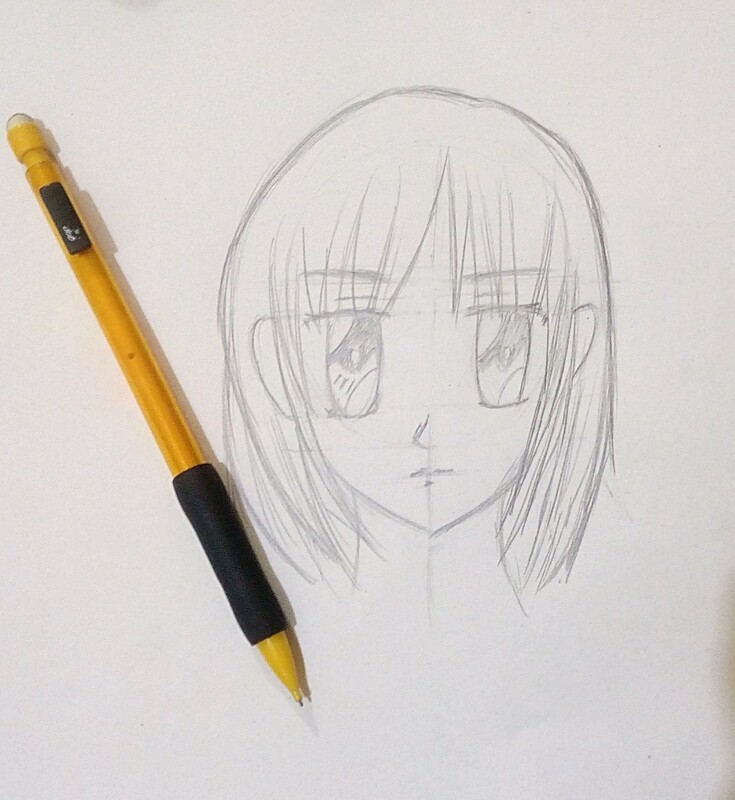 After drawing the eyes and nose, the lips should be next. The primary shape we will be using for this lesson is the oval/ellipse. The same rules even apply to drawing a smile. This lesson is sure to be interesting! 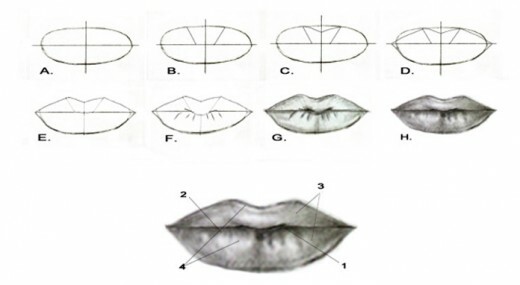 Above are a few examples of the many unique lip shapes. 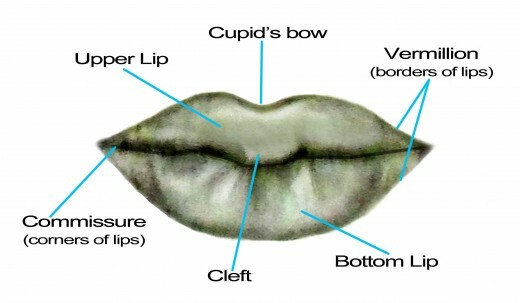 The first set of lips is fuller at the top & thinner at the bottom with a full cleft. 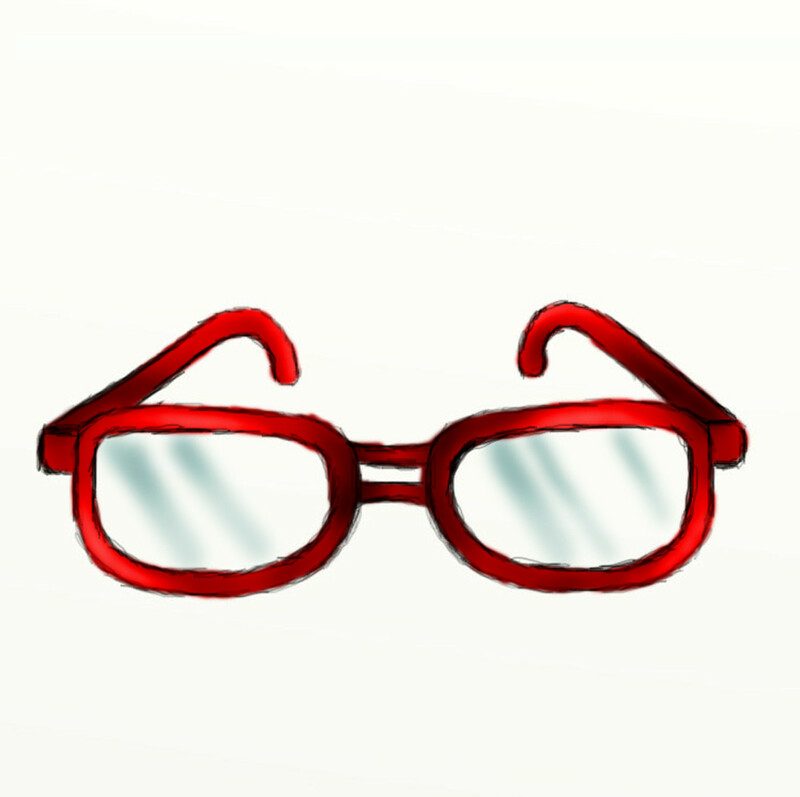 The second set has a full bottom & thin top lip. The third set of lips is thin. Lastly, you have a full, plump set of lips. Take a moment to study and examine the lips before proceeding with the next portion of the lesson. 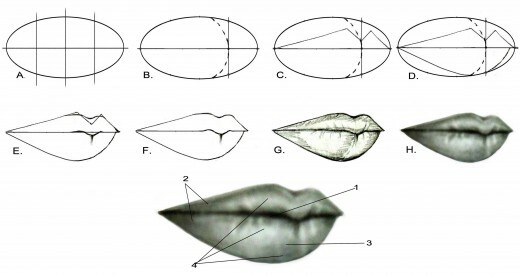 Below is a drawing of the front view of the lips. Let’s begin! A. Begin drawing an oval shape with lines straight through the center horizontally & vertically. 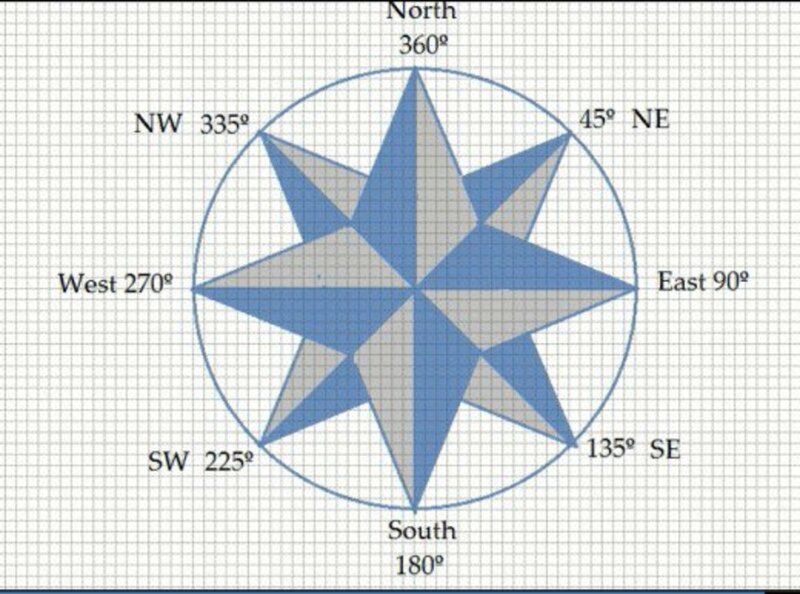 The lines should extend slightly outside the oval. B. Next, draw angled lines on each side of the vertical line on the top half of the oval. This indicates where the bow & the cleft of the lip will go. C. Draw the bow or the ‘dip’ at the top where the vertical line is. D. After the dip, draw lines from the top of each side of the angled lines to the ends of the horizontal lines you drew. Do the same with the bottom from the vertical line. E. Completely erase the lines outside of the lip lines. Lightly erase the lines inside the lip lines. F. Now create the cleft & creases on the bottom lip. G. Shade in the lips, using a darker shade (#1 or #2) in the center of the lips. This will be your shadow & cast shadow from the top lip. H. Blend & build your tones with your kneaded eraser and tortillion. You can also use a tissue or your finger to blend. The side view of the lips are pretty simple. All it will take is a simple triangle. A. Draw a sideways triangle with a slight tilt with a horizontal line through the center, slightly extending. B. 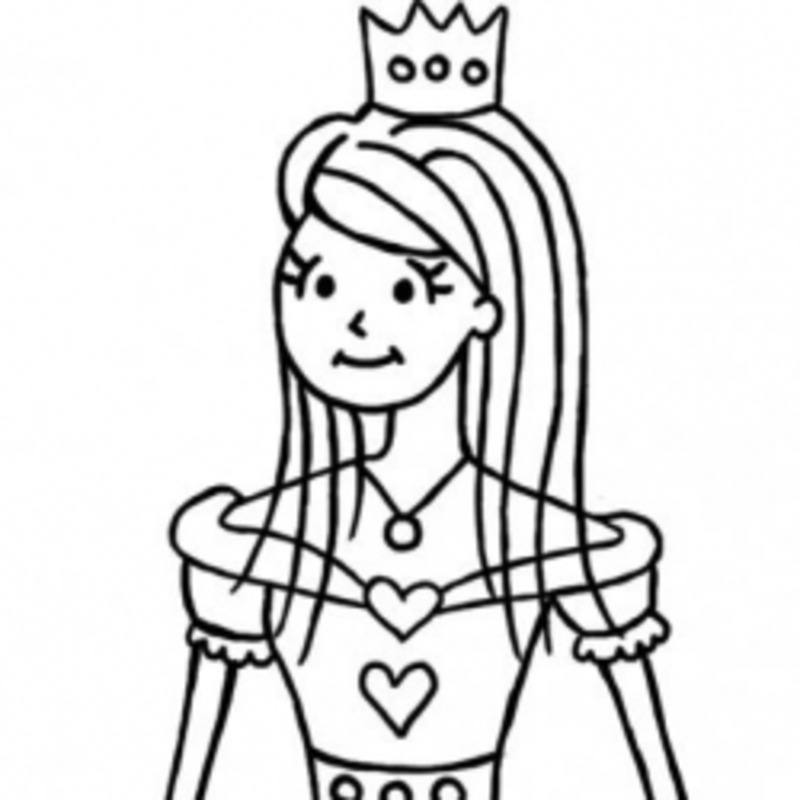 Next, create a ‘heart shape’ using the horizontal line as a guide. C. Erase the guidelines. 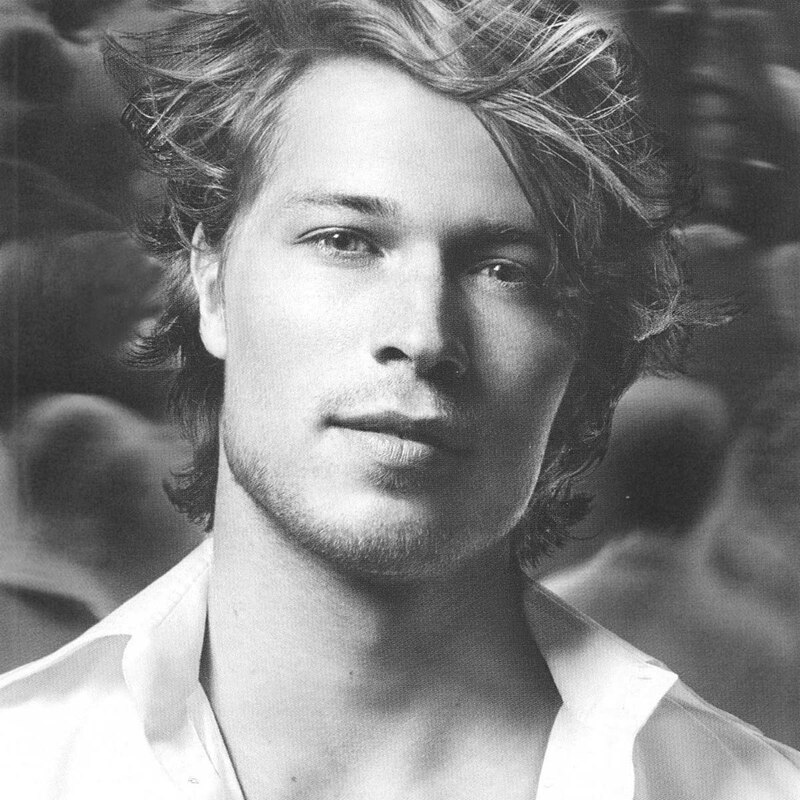 Notice that the top lip slightly extends pass the lower lip. D. Begin shading in the lips. E. Blend, developing tones until you get the desired look. A. Draw an oval. Next, draw three vertical lines through the oval creating four equal parts. These will be your guidelines. You will then draw a horizontal line through the center. B. Next, erase the first two vertical lines. Draw a curved dotted line against the remaining line. This indicates the roundness of the lips. C. Draw in the top of the lip. It’s your choice how thin or thick you want the top lip. The thinner you want it, the closer you draw to the horizontal line; the fuller the lip, the closer to the top part of the oval. I drew it as close to the middle as I could. D. Now draw the bottom lip. The same rules also apply of the thinness or fullness of the bottom lip, except you draw closer to the bottom part of the oval for a fuller lip. E. Erase all the guidelines & round the lips at the bow area. F. Now erase the area indicated in the example beneath the bow. G. Create the tones inside the lip area. The part of fullness, leave white. H. Start blending until you get a smooth texture. As you go along, you may need to use your kneaded eraser to gently lift the tones from the center of the lips to create fullness. The last segment of this lesson will be drawing a smiling mouth. This is the fun part. We’re going to draw teeth, which may take a little more patience than the other segments, but the outcome will be great. A. Draw an oval with a horizontal & vertical line through the center crossing each other. B. Next, draw in the top lip. Being that the lips are smiling, they will appear to be a bit thinner than the above examples because the lips are stretched. With that being said draw the top lip closer to the center horizontal line. The bow will also be a bit more extended as well. Remember to draw the guidelines for the bow. C. Now, draw the bottom lip outside of the bottom part of the oval. 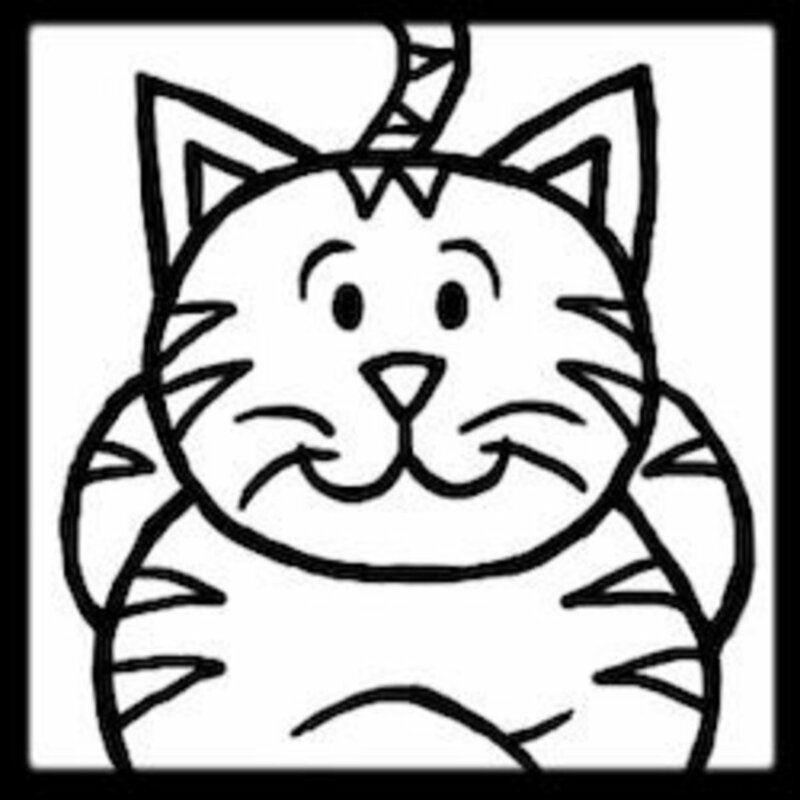 D. Erase all the lines shown in the example. Leave the center guideline between the lips- this indicates the space between the two front teeth. E. Begin drawing the teeth. Draw a slight curve right below the bottom of the top lip. This will be the gum line. Next, draw 4-5 lines on each side of that center line. The further your lines are to the back, the closer the lines should be. This shows that the teeth are receding. 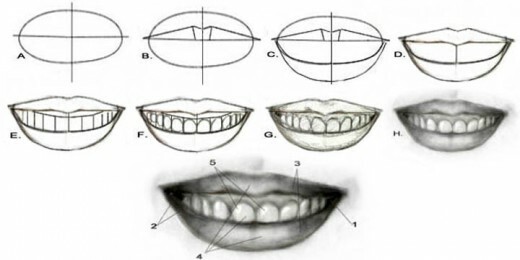 F. Begin rounding the top part of the teeth as shown in the example. G. Erase the guideline for the teeth, then start shading in the mouth with your pencil, using the lighter tone (#4) for the teeth (FYI- the teeth should NOT be white). H. Blend, blend, blend! When you finish blending the teeth, lift some of the tones from the teeth with your eraser until you get as close to white as you can. This small touch of white indicates the gloss of the teeth. Remember when blending the teeth never make them white, but a shade darker (#4 on the value scale). Only create a hint of white for the gloss. Don’t be hard on yourself & have fun! No problem. Glad my drawing lessons are helpful to you. Thank you so much jantamaya! It's great when someone can find these lessons useful. Stay tuned, there is much more to come. Thank you for this helpful article. 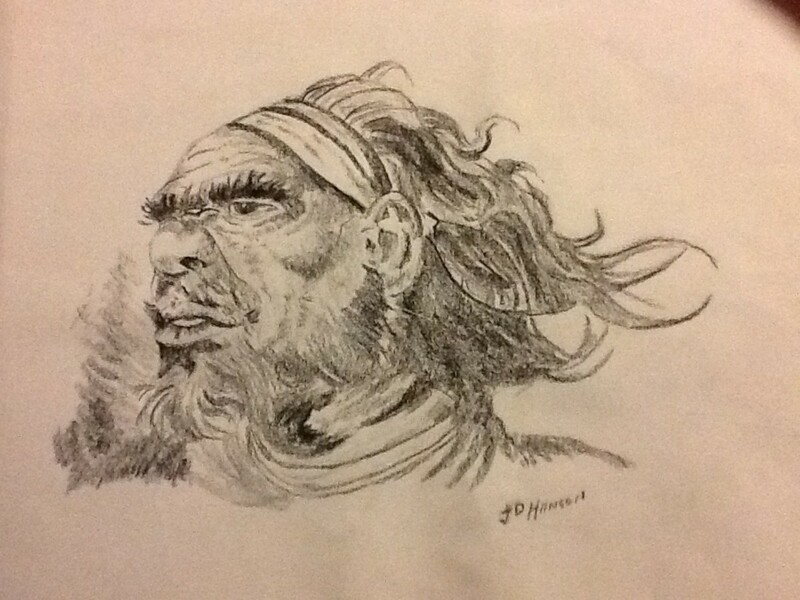 I'm a painter and know how difficult it can be to draw a human face expressions. Your hub is essential for this purpose. Voted up.